Massive film clip library Movieclips wants to be the premiere provider of official and trusted film clip content on YouTube, and the site got a big boost in funding today to achieve that end. 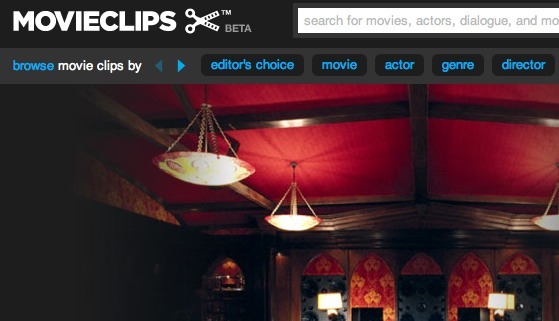 Over the past few years, Movieclips has been working to compile an extensive database of film clips. Their slick interface allows you to search for film clips in an intuitive and vastly comprehensive way- a “deep set of metadata” by actor, director, prop, setting, ad infinitum, on a scale of 1,000 points. And anyone who has turned to YouTube to settle a bet only to find a recreation of a scene from a college drama class or featuring Lego men can identify with the need for a more vetted and trustworthy pool of film clips on YouTube.